Hiring is underway to fill thousands of positions throughout Kings Dominion for the new season. Kings Dominion is looking for applicants to fill job openings in a variety of departments including food, security, rides, games, and more. Entry-level, as well as supervisory positions, and internships are available to qualified applicants. In addition, Kings Dominion’s entertainment team is seeking talented actors, singers, musicians, dancers, technicians, characters and more for the exciting new line-up of live shows. Auditions will be held January 28, 29 and February 4, 5 at the Kings Dominion Theater. Applicants must first apply online at kingsdominion.com/auditions. Kings Dominion offers competitive pay and numerous perks to employees of the park. “Kings Dominion is an amazing place to work for a variety of reasons. Our unique environment creates a work place where our associates can make lasting friendships, explore advancement opportunities, enhance skills, and more all while earning competitive pay,” said Greg Talley, the park’s human resources director. 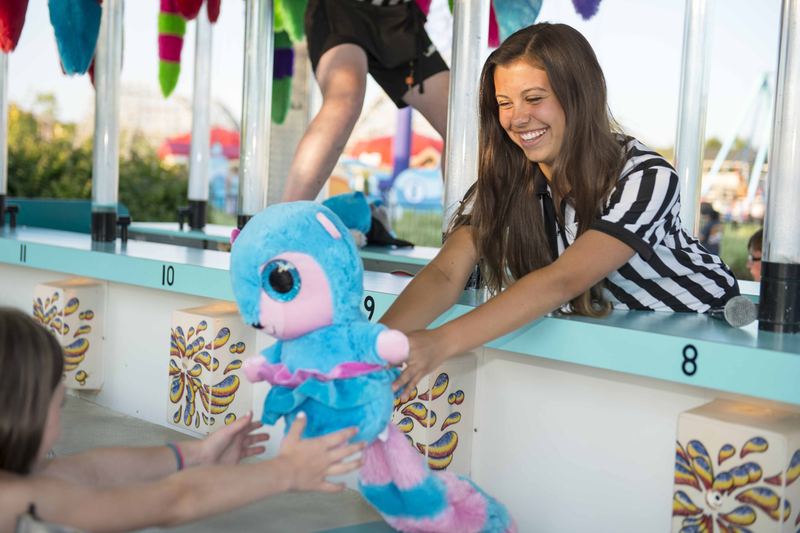 “It’s all about our philosophy of wanting our associates to enjoy their work experience at Kings Dominion as much as the guests enjoy their visits,” said Talley. Applicants must be at least 15 years of age and apply online at www.kingsdominion.com/jobs. Qualified candidates will be contacted to conduct an on-site interview. Kings Dominion opens to the general public for its forty-third season on Saturday, March 25. The pre-season excitement is growing at the theme park as construction continues on the expanded Planet Snoopy with the addition of three new rides. Season Passholders are invited to Passholder Preview Night on Friday, March 24, from five to nine o’clock. For the full calendar of 2017 operating hours, visit www.kingsdominion.com.